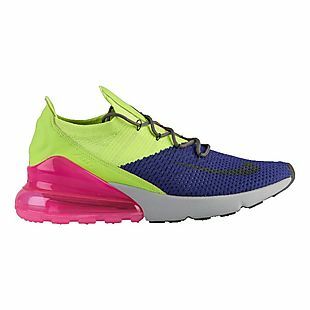 These men's Nike Air Max 270 Flyknit Sneakers list at $170 and were already on sale for $89.99, but you can get them for $76.49 when you apply the code LKS194A2 during checkout at Eastbay. That's the best price we can find anywhere, and it beats our previous mention by about $4. Note that only the pictured style is available at this price. Other colors cost extra. Sales tax is charged in most states. 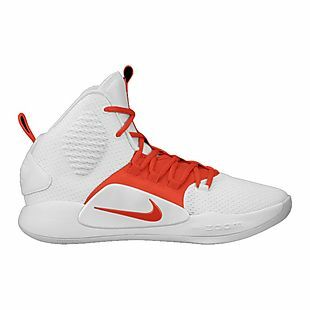 These men's Nike Hyperdunk X Mid Shoes list at $130 and were already on sale for $99.99 in select colors, but you can get them for $84.99 when you apply the code LKS194A2 during checkout at Eastbay. Shipping is free. That's the best price we can find anywhere by about $15. The shoes have textile uppers and Zoom Air cushions. Sales tax is charged in most states. Eastbay does charge for shipping, but if you're a frequent customer who's tired of paying extra to have your sports apparel delivered, consider joining Eastbay's Loyalty Club. There are three levels, Silver ($9.99 per year), Gold ($19.99 per year) and Platinum ($39.99 per year), and all three get you free shipping. Silver Club members get free standard shipping, which pays for itself after just one purchase with standard shipping. Gold members get free three-day shipping, which pays for itself after one order with three-day shipping, and Platinum members get free two-day shipping, which pays for itself after two orders with two-day shipping. All membership levels get access to exclusive email promotions and discounts, free returns and a complimentary one-year subscription to the Eastbay catalog!